If a book can have me asking questions and wondering where the story is going to go after the first few pages, then I know I’m going to enjoy the journey the characters will take me on. 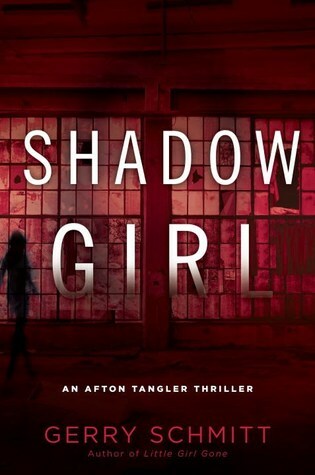 The latest release by author Gerry Schmitt does just that in SHADOW GIRL, the second installment in her Afton Tangler series. From the opening scene to the last line, the author takes you on a ride of mystery, suspense, and intriguing wrapped in a police procedure to keep you entertained. There is enough background information that new readers to the series won’t be lost. The protagonist, family liaison officer Afton Tangler, continues to grow and evolve in her role and the secondary characters add depth to the story. The story moves at a good pace and holds your attention from beginning to end. The setting comes alive through the details and descriptions by the author making you feel a part of the story. SHADOW GIRL is filled with intriguing and will make you wonder what if as the protagonist comes closer and closer to the killer. A captivating story you don’t want to miss. Thanks for stopping by today. I’m going to be in and out this month so please bear with me. Do you enjoy stories where the protagonist goes a bit beyond their boundaries to catch the killer? It sounds excellent. And my wimpy self loves it when the protagonist stretches their boundaries. Someone really wanted him dead all right. This one sounds full of suspense, Mason. And I have to say, the Twin Cities setting appeals to me. Thanks for sharing. It's much more exciting when they go beyond the limits. And I'm adding a Power Point to my Publishing & Promoting seminar. I'm going to use MC Book Tours for the book blog tour segment. Sounds like a good, suspenseful read. Thanks for your review. Always good to find out about a book I didn't know abut! Thanks.